A primary requirement for animal farming is to keep one's stock within a protected area, where they are safe from predators and can grow under controlled conditions without severe competition for food from unwanted species. Oysters and mussels, once they have settled, remain virtually stationary, and the beds where they are grown can to some extent be protected from enemies and competitors. But fish roam about, often over considerable distances, and fish-pens cannot easily be constructed in the open sea. A second requirement for efficient husbandry is the selection of stock by controlled breeding for particular desired qualities such as rapid growth, efficient food conversion, taste, appearance, etc. For some marine species this is not yet possible because they do not complete their life cycle in captivity although they may be suitable in other respects for culture, e.g. eels (Anguilla anguilla). In others, such as the freshwater Tilapia, there has been considerable success in selective breeding. It might seem a simple matter to make enclosures for cultivating sea fish by erecting dams or screens across coastal inlets. However, as soon as small bodies of seawater are isolated the natural processes of circulation and renewal of water are interfered with. Problems then arise from fluctuating and abnormal hydrographic conditions (temperature, salinity, deficient oxygenation, etc.) which are likely to be unfavourable for many marine species. Even those which may be suited to shallow water when young may require deeper water as they grow larger. Fast-growing marine fish suited throughout life to conditions in enclosed lagoons are mostly insufficiently palatable to fetch good prices in markets where there is much choice. Enclosure of fish in bays and inlets may also present difficulties of adequately protecting the stock. Nutrients added to enrich the water so as to promote the natural production of fish food may be lost by leakage to the sea, or may stimulate the growth of unwanted or even pathogenic organisms. There may be difficulties of weeding to keep the area free from competitors which take the food needed for the fish, and of safeguarding the potential harvest from predators. There may also be legal problems associated with enclosure of sea areas, involving establishment of ownership, rights of navigation, fishing, etc. 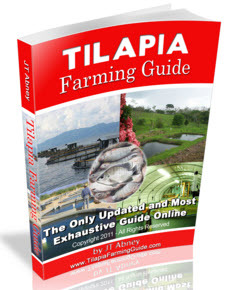 Therefore in most cases, finfish farming is carried out in shallow onshore ponds, in floating cages moored in sheltered bays, inlets or sea lochs and in onshore tanks. This system of marine fish husbandry is fairly primitive. Almost always the fry are obtained from the wild stock at sea and raised in captivity to market size. In some cases the fry can be persuaded to swim upstream from the sea into rearing ponds, but usually they must be collected at sea by fine nets, sometimes necessitating distant searches. The stocking of ponds with milkfish is liable to be hampered by shortage of fry due to uncertain location of spawning grounds. Problems also arise from the destruction of natural habitat to make room for the fish ponds. In the Philippines, mangrove forests now cover only about 140 000 hectares compared with 400 000 hectares in the 1920s. At least 60 per cent of this loss is due to conversion to milkfish farms. This can affect offshore fisheries since many offshore species spawn in mangroves. Fishes that are successfully grown in cage cultures include Atlantic salmon (Salmo) in Europe and America; Pacific salmon (Oncorhynchus) in America; the yellowtail (Seriola) in Japan; sea bass (Lates) and groupers (Epinephelus) in Malaysia and Indonesia. One of the most dramatic examples of recent growth in fish farming has been the exponential increase in the production of salmon in the North Atlantic region. Much of this expansion has been in the siting of floating fish farms in Scottish sea lochs (Lincoln and Howell, 1994; La Tene Maps, 1995). Fifteen years ago, such farms were a novelty. Now there are practically no sea lochs left which do not have at least one fish farm. Annual Scottish production of farmed salmon stands at around 50 000 tonnes whereas ten years ago it was only around 10 000 tonnes (SOAEFD annual surveys; see Appendix 4). However, the greatest production in this region comes from Norwegian farms. Eggs are hatched from selected stock and the young fish raised in fresh water to the smolt stage, when they would normally go downstream to the sea. The captive fish can then be transferred to seawater in floating cages where they can be grown on to market size. They are fed on pelleted food. In sea lochs off the west coast of Scotland these fish reach 1.5-2 kg after one year in seawater and 4-5 kg after two years. These farms require a large initial capital outlay and in Scotland many of the new smaller outfits have not survived. One of the problems encountered is poor siting of farms in areas of low water movement. This leads to pollution of the sea-bed with consequent deoxygenation problems and disease. Under crowded conditions, fish lice can be prevalent and this is now being tackled biologically as well as chemically. Experiments are in hand to see if various species of wrasse, known to act as 'cleaners', can control the lice. Attention turned next to turbot (Scophthalmus maximus), another high-priced fish though less valuable than sole. The early larvae of turbot require very small food, and this was provided by developing the culture of rotifers (Brachionus). When the fry have grown larger they will take Artemia. Turbot have proved to be very suitable fish for tank cultivation in warm water as long as the temperature is controlled around an optimum level. They can live at high densities, have a good food conversion efficiency and make relatively rapid growth to about 2 kg in two years in optimal conditions. The life cycle can be completed in captivity, with possibilities of improvement by selective breeding. Other species which have been successfully grown in tanks are brill and lemon sole. It is also possible in tanks in this country to rear the prawn Palaemon serratus and various bivalves, notably oysters (Crassostrea) and American clams (Mercenaria mercenaria). Recent 1990s technology has seen the development of prototype 'fish factories' which aim to mass-produce both seawater and freshwater fish. These 'biosystems' are closed units which function on a very efficient re-cycling of seawater and so can be situated well away from the coast on normal industrial estates. The system is being developed by the Danish Institute of Aquaculture Technology and is already producing freshwater eels. Commercial production of marine species such as cod is in development and may well become a reality in future years.